Since 1981, Dead Sea Spa Magik have been creating at-home spa treatments that are designed to give people the ultimate skin pamper, at a more affordable price point - since regular spa trips can become costly, and a luxury that the majority of us can’t afford on a daily basis. Formulated with skin-healing minerals and naturally derived ingredients, their products are designed to improve troublesome skin conditions and provide you with ravishing results of purified, healthier-looking skin, all within the comfort of your own home! 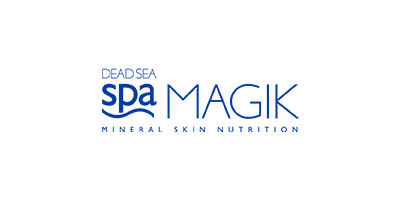 Dead Sea Spa Magik incorporate certified organic ingredients into their products where possible, as well as infusing each product with a harmonised water base to enhance product efficacy. They offer a captivating collection of skincare and body care products, from mud masks to skin cleansing bars, these kind-to-skin innovations will work to improve the health of your complexion without drying or aggravating the skin. Discover a ravishing range of skincare solutions that will give you a high-quality spa experience - no matter which product you choose.